It was finally time to replace my aging X79 rig. Originally I was going to go with the X299 platform but once I heard Coffee Lake was being released sooner than expected, I held off. The parts in this build were chosen to be cost effective, yet of reasonable quality. If it isn't obvious by the parts list, I like RGB lighting. At first, I was just going to reuse everything from my old rig (CPU, MOBO, RAM aside), but decided to go with a smaller form factor. Typically, I stick with ATX or larger builds, but seeing as how Multi-GPU setups are becoming a thing of the past, I no longer need the space. The only part reused is the Strix 1080 Ti. It is going to be replaced with a GTX 970 so the old computer is still fully functional. CPU: I currently have an i7 3930K, so going with anything lesser (total threads), was not an option in my mind. Therefore the only CPU choice was the 8700K. While its arguable that the 8700K isn't much faster than an overclocked 3930K, its single thread performance still blows it away. This rig will primarily be used for gaming, hence wanting the higher single core performance. Cooler: Great reviews, RGB. Original plan was to go with the Swiftech H240 X2 Prestige, but I could never find one in stock, and ultimately it wouldn't sync up with the rest of the RGB lighting. 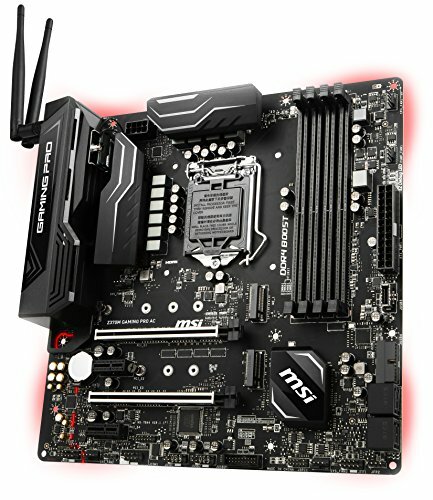 Motherboard: This is a place holder until the ASUS Strix Z370-G becomes available. Impatience is a sad thing, but I couldn't wait 2-3 weeks for the ASUS motherboard to become available. It will be swapped ASAP and sold at a loss. Memory: Fast enough, very tight timings, RGB. 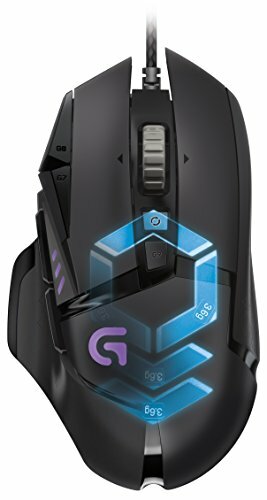 For only $60 more than it's cheapest competitor (at 3200mhz), it offered substantially tighter timings and it has RGB lighting. I went with 2x 16GB for expand ability. Aesthetically, using 4 dimms would have looked much better. XMP is currently not working with motherboard. All settings must be entered manually for it to boot correctly. 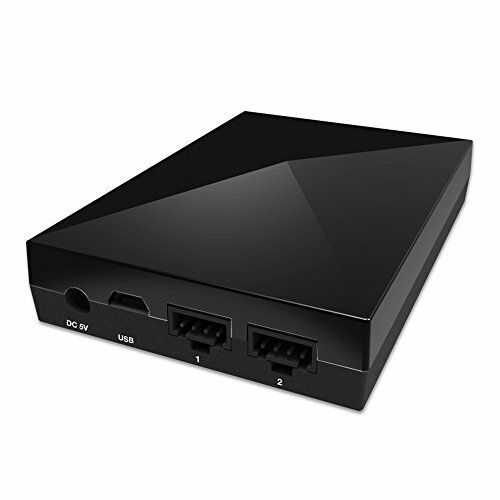 SSD: Fastest M2 drive available. 500GB should suffice for OS and a few games. 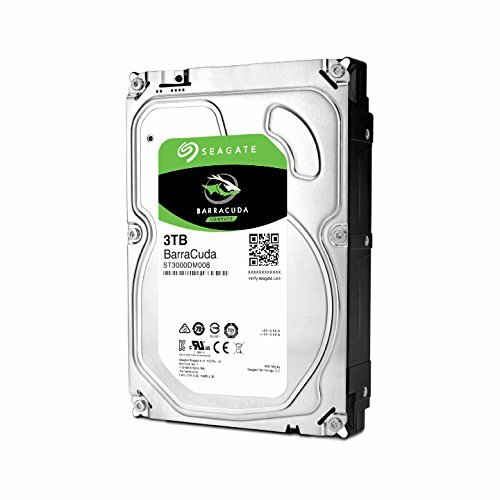 1TB was on the wish list but couldn't justify it's price. HDD: Cheap storage, fast enough for its purpose. GPU: Looks good, performs good, stays cool. Lighting will sync up with motherboard once I get the ASUS. Case: I've been eyeing up the bigger brother to this case for about 2 years. Once an mATX version came out, I was sold. Fairly simple case to work with, albeit with a few draw backs. It's difficult to see in the pictures, but with a larger PSU, you have virtually no space to work with. I had to choose which cables I needed, and then install the PSU. There is only about 1inch of clearance between the PSU and the HDD cage. In hindsight, I could have removed the HDD cage first, and then installed PSU. Also, the magnets on the back panel aren't quite strong enough. Even with the cables tight and in place, there is still too much pressure on the panel for the magnets to make proper contact. PSU: Cost effective, quiet, and I've never had any issues with Corsair. 1000w is definitely overkill. I like headroom, and the CPU and GPU will be overclocked. I also wanted the option to SLI in the future, should I ever decide to. If I would have gone with a more conservative 850w PSU, there definitely would have been more room for the cables between PSU and HDD cage. Fans/Lighting: I weighed out my options, which were limited to Thermaltake or NZXT for sync-able lighting. Ultimately going to with NZXT was the cost effective route because the fans and HUE+ were on sale. The CAM, GSkill and MSI lighting software do not play nice together. Hopefully some software updates come out soon to alleviate the issues. Overclocking: I've managed to overclock it to 4.8Ghz stable @ 1.285v. Under typical loads, it doesn't get hotter than 73c. Using Prime95 and Intel Burn Test it got up to 90c. The stress tests were done with the Kraken X62 at max fan and pump speed. 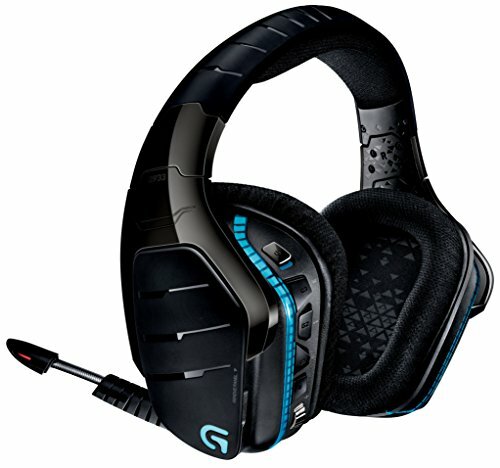 Under gaming/typical testing, the fan/pump was set to performance mode or 50%. At 5.0ghz, the cpu simply gets too hot. It will require a custom loop or delidding to have temperatures I'm comfortable with. Once the 8700K is readily available, I will be delidding mine. While overclocking, one of my memory dimms decided not to light up anymore. Definitely super buggy software. The memory is overclocked to 3466mhz @ 15-15-15-36. I'll be tinkering more with the memory later. UPDATE: Delidded processor. 20-22c decrease in IntelBurnTest. Also, fan and pump can be run at 50% rather than max speed to get these results. Details updated to show max temp under stress test. Pay no mind to the prices listed. They are not accurate. I will update the price list when I can find all of the receipts. Keep in mind, CDN dollars. OOO you got one! Nice work & nice build. Thanks. I got lucky apparently. Here's to the first 8700k on PCPP! 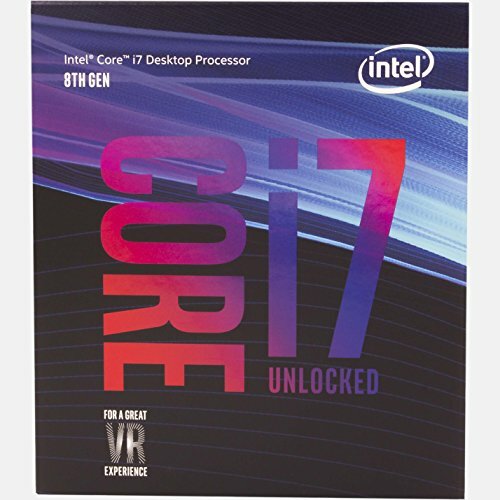 Probably the 1st 8700k post in PCPP? +1 dude! I was tinkering with some over clocking but it screwed with the RGB memory. So now I'm tinkering trying to get it working again. PITA. Posted some in the description. 8700K = hot. I don't think these temps have anything to do with the case. The temps you said are exactly what I got while stress testing @ stock. Under regular use it never really goes over the 65c mark. As soon as you start throwing voltage at these cpus, they're rediculous. Even overclocked the temps are on par with reviews. Did you say that you were putting the 1080 ti back in the old system and the 970 in this one? How does that make sense of this build is going to be used for gaming? Other than that great build! Other way around. A GTX 970 is going into the old rig. JayzTwoCents made an interesting video covering something called "Multi Core Enhancment" on the z370 platform. I would look into that to get a bit of added performance. But Nice build man. why does it say Kaby Lake in Core temp? I'm going to assume because Core Temp hasn't been updated in awhile. I downloaded the newest version available. ohhh mate, a rig this nice deserves custom-sleeved cables! I may get some, it's something I've pondered for awhile. haha im still rocking an ''aging'' i5 2330 and a 770, nice build. I'm envious. can you post cine bench score not overclocked? there was some controversy over these and i wonder if maybe the reviewers got specially selected chips. Also, Congrats with the first i7 8700k build on PCPP!!! Awesome build man! Are the CPU-Z bench scores at stock speed, OC, or all cores running at 4.7 (I know some mobos turn up all cores to run at the max turbo speed)? The CPUZ score shown is the processor @ stock. I can upload a pic of CPUZ @ 4.8ghz if you'd like. Yeah that would be great! 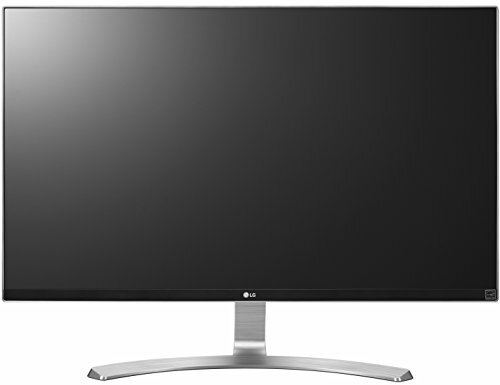 I am trying to see how it compares to my 5930K. I have considered upgrading but I don't really thing it would be a performance increase that I would actually notice. Games like PUBG are seeing quite heavy gains, even at higher resolutions. However, we all know PUBG is an unoptimized piece of ****. "...but decided to go with a smaller form factor. Typically, I stick with ATX or larger builds, but seeing as how Multi-GPU setups are becoming a thing of the past, I no longer need the space." I'd be interested in coffee lake if the temps were better, sticking with my 1700x, hope Ryzen 2 fixes some of the single core issues as far as gaming goes. Can't really blame ya. I have a 7700 (nonK) in a SFF case, and even undervolted it's hotter than I like. If Intel would just use better TIM. I honestly think they use poor TIM to limit over clocking results and make people delid, voiding their warranty. damn that thing is beautiful. i was thinking of getting a new NZXT kraken like the one you've got. they're amazing looking. Honestly, I've gotta be like 1 of 100 in Canada who's gotten one. Super lucky on my part. If there was even 100 of those CPUs to go around. Have you thought about putting a ASUS Rampage motherboard in it would really match the RGB scheme. Great build! Hey, Amazing build!!! Do you think you could upload a picture of your full setup? Awesome build! But why does the CPU Temp readout in pic 17 say Kaby Lake and not Coffee Lake? Core Temp hasn't been updated since Coffee Lake has been released. So it detects it as Kaby Lake. I ordered an 8700k as well. I have the same case as you. Just waiting for the Strix Z370g to go on sale now. I feel you. Wish Asus wouldn't neglect Matx, all the Itx and Atx boards went on sale the day of coffee lake launch. Pre ordered it on Amazon but they aren't giving me any info on when it will ship. I called a few stores across Canada and they all expect the 370G the 19th October or shortly after. Wow, thanks man that helps a lot. Now I have a ballpark of when it will ship. You, sir are a hero. Love the looks. Congrats on the new build! I'm confused at why you mounted the rgb fans to the front where you really won't see them instead of on your radiator, but otherwise it looks great. I wasn't sure how much light would come into the case from the fans before I mounted them. I'm waiting for NZXT to make high static pressure rgb fans to mount on the rad. How many RGB headers are on that motherboard? The temps for the CPU at 4.8ghz was 73c before delid or after delid? Sorry, the first temps listed under Overclocking were before delidding, while under real life loads, gaming particularly. I have a question: Would you recommend delidding the 8700K? I know you did it, but I don't have much extra money, and if I screw up, it's almost 400$ down the drain, along with my warranty. If you're going for high overclocks, definitely. If you're fine with 4.6ish GHz with a modest cooler, then don't bother delidding. Hmm. Gonna be using an H100i v2, and I do plan on going for near 4.8 GHz. Do you happen to have CPU VRM temps and CPU power readings when fully stressed (Prime95, AVX or not) ? What did you do for your network adapter? I'm well aware of what it is. All modern motherboards have Network adaptors of some sort. In my case, it has LAN and Wi-Fi. Thanks for posting temp tests. I've got the same CPU and cooler picked out, and have never built a computer or truly overclocked before. This is a huge help to give me a starting point. 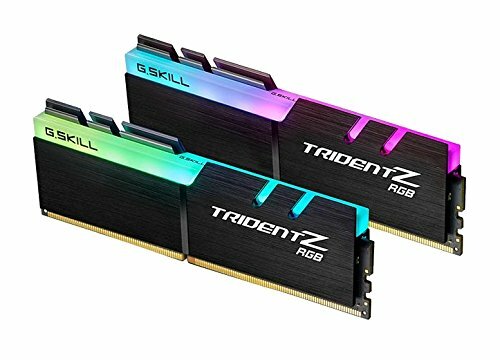 With the current configuration and the X62 cooler, is it possible to fill all four ram slots? I think I could fill all 4 slots, but would be a tight fit. Would use Low-Profile ram to make it easy. I did end up swapping to the STRIX motherboard. What's wrong with the MSI Z370m that made you swap to the Strix Z370-G?? I know you originally intended to use the G... but what's so bad with the M.
I'm currently building an mATX system and have a choice of either one, however I was choosing the MSI over the Asus due to the missing USB-C and RGB header, and of course the LLC issue which I wasn't sure about the G having it or not. Considering under full load with CPU and GPU overclocked it pulls over 500w, I'm going to say no, 650w would not do. An 850w would be large enough, but at the time 1000w was the same price. Awesome looking build inside one of my favorite mATX cases.